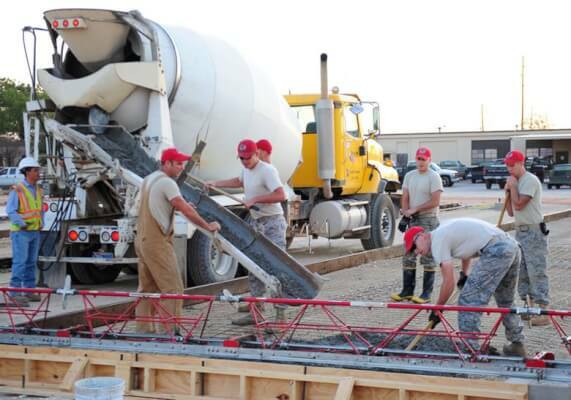 How Is Ready Mix Concrete Beneficial In Construction Projects? November 12, 2018 Krysta JacksonHome Improvement / TechnologyNo Comment on How Is Ready Mix Concrete Beneficial In Construction Projects? Concrete is one of the most sought-after and a much-demanded element in the construction industry. It is also one of the most important materials used in the preparation of a foundation. Concretes are different types, and each of them has their benefits and purposes in a construction project. Therefore, it is vital to choose the right concrete to accomplish your plan. One of these concrete types is the ready-mix concrete. It is widely popular in the construction industry for completing large projects. Ready-mix concrete is tailor-made to meet the client’s requirements. In other words, construction professionals make it according to the specifications required by the project. It is manufactured in a factory or within a batching plant. Primarily there are three types of ready-mix concrete. Transit mixed, shrink mixed, and central-mixed concrete. All of these have specific properties that make them significant in a construction project. Let us take a look at the key benefits that you can reap with ready-mixed concrete. A ready-mix concrete mix plant uses sophisticated equipment and consistent methods. As a result, you get a good quality concrete. Moreover, concrete mixing professionals employ strict control over the testing of materials, process parameters, and continuous monitoring of significant practices during the manufacturing process. The ready-mix concrete method fixes all shortcomings of the traditional techniques. Consistency and quality are the topmost required elements in a construction project. Ready-mix concrete is basically, a tailor-made concrete prepared to fulfill the requirements and specifications of the client. The concerned professionals prepare it at a plant before delivering at the job site. As a result, it saves a lot of time and cost. It is because when you prepare the concrete at the job site, you will need to engage the required laborers for the same, which increases the cost. Moreover, the elements mixed in the concrete will be precise and to the required specifications. Therefore, there will be a remarkable reduction in the cost of materials as well. Speed is one of the essential aspects of every construction project. It is because the construction professionals have fixed deadlines for accomplishing their tasks. In this situation, ready-mixed concrete is highly beneficial. As it is prepared on a separate plant, it saves a lot of time on the job site. The professionals only have to wait for the delivery to start their associated task or proceed with their ongoing jobs. In ready-mix concrete mixing method, the materials are used to the precise specifications and clients’ requirements. Therefore, it will help reduce the consumption of cement by 10-12%. Moreover, the use of admixtures and other cementitious elements will help decrease the amount of cement. Ready-mixed concrete is prepared exactly to the specifications and requirements of the client. Moreover, the leftover components from the preparation can be reused and recycled to fulfil further requirements. In other words, you can create the batch that can be further used in certain areas of the project. Also, you can create a batch to specifically, suit the foundations of a building. When you prepare concrete on the job site, you need to have trained workers for mixing and settling the concrete. 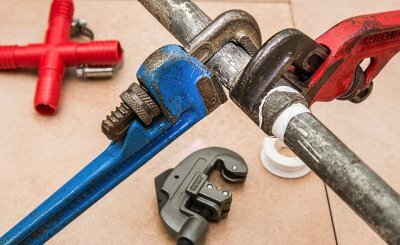 Moreover, when you employ traditional mixing techniques, you will have a mess of materials on your site, which will consume your time for cleaning, and engaging more workers for the same. With ready-mixed concrete, you do not need labourers to do the task. As a result, it will reduce your labour cost to a great extent. As ready-mixed concrete is prepared at a separate plant, you will not require to store the raw materials on the job site. Moreover, there will be no delay due to site-based plant erection/ dismantling. Also, you have no requirement for hiring equipment, and so no depreciation costs as well. When you use resilient, strong, and durable concrete for accomplishing your construction project, it will remain in good condition for years. However, you may have some minor cosmetic maintenance, but the overall concrete will maintain its condition for a longer duration compared to other materials. As a result, you will have a reduced maintenance cost. So, employing ready-mixed concrete in your project can help you reap immense benefits for your construction project. Why say “Yes” to Healthy Lifestyle?